Bill, do you have pictures of any of those markets? Your posts never disappoint. Thanks for sharing. Excellent report. LOL. Seriously, timers are your friends. I haven't manually switched on reptile lights in probably 20 years. Always great tips from Kelly. I have also found putting lights on a timer can increase the longevity of both cheap fixtures and of the fragile bulbs. Plus there is not reason not to use timers. Wow! Thanks for putting that post together for us. It was quite enjoyable. How long were you there for? I totally forgot to mention the braining part, I do that as well and can definitely be successful. I have never tried boiling a pinky, interesting idea. Some species are just easy, 90% of my coxi eat f/t without any tricks. Wow!! That is exciting stuff. Its too bad its December and I live in CT because all I want to do is go out in the field right now. Lots of great tips already mentioned. The only thing I have to add is all the national parks close EARLY. That means no night hiking there. So either plan on roadcruising or plan on staying at a lodge/hotel/camp with their own property. National Parks also don't like hooks. As far as i know, there were no abnormal signs that my friend saw before death. Tortoise was eating and acting as usual. Thats why I immediately questioned the fatty liver diagnosis. I did send him a link, not sure if he read it yet. Would be better if he joined this discussion. Topic: Is a supertank possible? Those river otters must have been a real treat and it looks like you got some good views. The second butterfly is stunning. I guess I should add in both of my situations, all adults will be moved. This is not a "I have a female and friend has a male" kind of thing. There are also no known or expected morphs to come from any of this. Who gets first pic (which likely wont matter but you never know), the owner or borrower? I never even thought to freeze them. Is it really just as simple as putting live ones in a bag and then into the freezer? How long will they keep for, same as any other meat product? These have been spoken for. I have way too many dubia roaches at the moment. I have an adult colony of 10 males and 30 females and a few hundred small nymphs from just born to about 3/4". If someone wants to paypal me $20 to cover shipping/box etc they are yours. 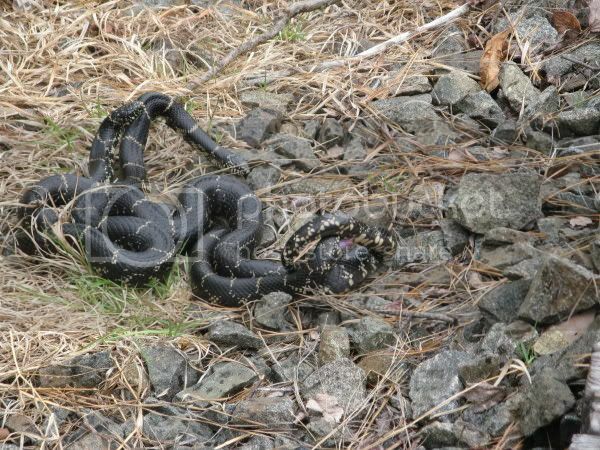 Topic: Are these king snakes fighting or courting? Re: Are these king snakes fighting or courting? WOW! Those are some beautiful snakes. I know very little about Mexican herpetofuana, and have never heard of either, so thanks for sharing! Thanks for taking us along on this trip! Your writing is very entertaining and of course the pictures are great. Its amazing that something like an Emerald tree boa was just found for the first time, and so close to camp. Do their eyes shine like the Amazon tree boas? Another great post from Peru! Thanks for sharing. I cant stop looking at that cribo, and I am also very jealous of your Cruziohyla. I wonder why the tried and true method of collecting moths here didn't work out for you there. Thanks Regal, that is an awesome enclosure. Regal, that is a very nice looking enclosure. Can you give some details about the materials used. You wouldn't do it again because it was too much work to build, or keep up?